Many taxi fleet operators find it challenging to secure affordable taxi fleet insurance for their business. While it is possible to get cheap taxi fleet coverage, there are a number of factors that will affect your premiums. Find out how to get the best deal here. 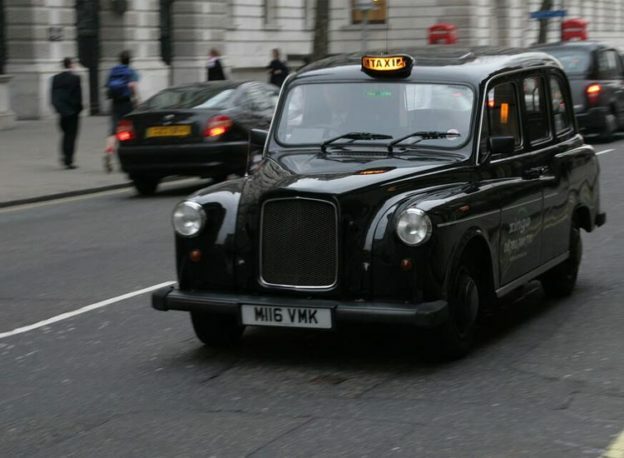 If you require insurance to cover three or more taxis then you’ll need taxi fleet insurance. This statement rings true whether you’re operating a public hire fleet, private hire fleet or a mixed fleet. But business costs can quickly add up, so how can you get the best deal on your taxi fleet insurance? First up, it pays to understand the different factors affecting your monthly premiums. Taxi fleet insurance looks at multiple vehicles and offers cover for different drivers; it’s notably more complicated than a single vehicle taxi insurance policy. It is far more convenient to manage your vehicles on one single policy, but you need to be prepared to pay a rate per vehicle based on drivers, vehicles and claims experience. However, whether you’re managing a large fleet of taxis or just a few vehicles, insurance companies will offer you quotes based on a set of criteria. By knowing what they’re looking for, you can get one step ahead in the search for cheap taxi fleet insurance. Even if the majority of drivers in your fleet have a considerable number of years under their belt, your team will be assessed as a whole. Therefore, if you have a few new drivers who have only recently received their taxi badges, this could increase your premium. As your drivers gain experience, however, the cost of your coverage may gradually be reduced. So keep track of how your team are getting on and make a note to review your policy every year. At ChoiceQuote, we can offer insurance even if some of your drivers have only received their taxi badges within the last two years! Our experts are on-hand to help you manage your insurance policy over a long-term period, to see if your premiums can be gradually reduced over time as your drivers gain more experience. Similar to experience, the age of your drivers is going to make a difference to your taxi fleet insurance quotes. The magic age here is 25. As a specialist taxi insurance company, ChoiceQuote work with providers who can sometimes make exceptions, but in general you will struggle to insure drivers who are under the age of 25 – or more specifically, you will struggle to get cheap taxi fleet insurance that includes drivers under the age of 25. Your insurance quote could vary depending on whether you offer public or private hire taxi services – or both. The important thing is to find insurance that meets your requirements and covers you for the types of services you offer. Worst case scenario, you could find yourself having paid out for an insurance policy over a number of months or even years that, when it comes down to it, doesn’t actually provide the cover you thought it did should one of your drivers find themselves involved in an accident. Not declaring certain aspects of your business on insurance to keep costs down has become the stuff of folklore. But we ask for honesty for a reason: if something happens, we need to make sure you have the right coverage in place to pay out to cover your company and keep things running smoothly. If you’re looking for cheap taxi fleet insurance, get in touch with ChoiceQuote for competitive quotes and expert advice. The types of vehicles in your fleet may affect your chances of getting affordable insurance. Some insurers will require fleets with larger or luxury vehicles to pay additional costs – or in some cases may require you to take out a separate policy all together. When searching for your policy, make sure your insurance coverage takes into account all the different vehicles in your fleet. It’s important that you’re not being overcharged just because you operate a few MPVs. Equally, don’t underinsure your fleet. If you have MPVs or luxury vehicles in the fleet, declare them so you’re not left with an unexpected bill should an accident happen. Whether you’re operating mostly cars or have a mixture of cars and MPVs, ChoiceQuote can help you get the best insurance for your needs. Obviously, if you run a taxi business with multiple drivers and vehicles, you need to look for taxi fleet insurance. When comparing quotes, ensure you’re not getting single vehicle quotes for taxi insurance or you could find that you don’t have adequate coverage or that you’re paying more than necessary to cover your fleet. ChoiceQuote can help when it comes to finding the best insurance for your vehicles – whether your employees own their own vehicles or they drive vehicles from a fleet you own. It’s about finding the best price for the best coverage for your circumstances. You’ll need to consider your whole operation and team of staff when choosing your insurance, which can sometimes be a complicated process. But we’re here to help, so get in touch if you want to talk through the options to protect your fleet. Do I need taxi fleet insurance? Taxi fleet insurance is important for protecting your business and employees’ welfare. So there’s the basics covered in terms of what impacts the prices you will be quoted for taxi fleet insurance. But do you need the insurance in the first place? Well, there’s no getting round this – yes! If you’re running more than three vehicles, you need taxi fleet insurance! This is about everything from the legality of vehicle insurance, to the need for employers’ liability insurance to provide coverage on matters relating to your employees and drivers. The more drivers and vehicles you manage under your fleet, the more chances there are that an incident could take place with a customer. A recommended taxi fleet insurance ‘add-on’ is public liability insurance to protect your business in the event of unforeseen circumstances such as altercations with passengers, claims of theft, or injury suffered while individuals are in your vehicles. Sometimes it’s just better to be safe than sorry. Operating without effective taxi fleet insurance can leave you and your company exposed to penalties or unnecessary costs. Most importantly, taxi fleet insurance offers your business the security it needs to keep operating. Whether you face future legal costs, injury to your employees or customers, or substantial damage to your vehicles, taxi fleet insurance can keep you moving forward. If you are looking for comprehensive taxi fleet insurance, contact ChoiceQuote today on 01625 885 046 or receive a free quote online. Another way of keeping your costs down and helping you manage your fleet is to install telematics in your vehicles. Being able to track your vehicles on the road, record incidents and accidents as they happen, and send reports instantly to fleet managers and insurers can save time and money when dealing with claims. It can also help you with driver training, too. In some cases, this is a requirement from insurers in order to obtain taxi fleet insurance, but in all cases, it can help you in the longer-term to reduce your insurance premiums by improving your claims record. ChoiceQuote can help you with class-leading telematics hardware and software, to help make managing your fleet a seamless experience. The right policy for your fleet depends on your circumstances. While we all know it’s important to get effective insurance to protect your business, there may be certain factors that affect your ability to receive affordable cover. If you’re looking for reliable taxi fleet insurance that completely covers your operations, get in touch with ChoiceQuote to make sure your whole team is sufficiently protected or click here to find out more about what is covered by taxi insurance.